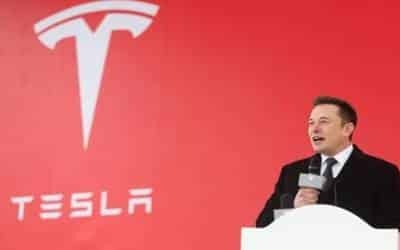 San Francisco, March 22 (IANS) Tesla CEO Elon Musk is prioritizing on meeting its first quarter goal of car deliveries before March 31. Under the subject line "Vehicle Delivery Help Needed! ", Musk reached out to his employees via an email sent on Thursday afternoon. "Musk sent an email to all Tesla employees informing them that car deliveries should be everyone’s top priority until the end of the quarter on March 31," Business Insider Malaysia reported on Thursday. Last week, company Vice President Sanjay Shah sent an email to Tesla employees asking them to volunteer for extra shifts to deliver the vehicles on time. "What has made this particularly difficult is that Europe and China are simultaneously experiencing the same massive increase in delivery volume that North America experienced last year," the report quoted Musk as saying in the email. "In some locations, the delivery rate is over 600 per cent higher than its previous peak!" Musk also highlighted supplier issues in Europe which had further complicated the company’s delivery situation. "According to the email, this is the ‘biggest wave in Tesla’s history’ and ‘won’t be repeated in subsequent quarters’," the report said.